Perfect Score Technology Center (Dallas, Texas) manufactures a full line of glass CNC scoring, cutting, and handling equipment specific to I.G. production and glass fabricators. 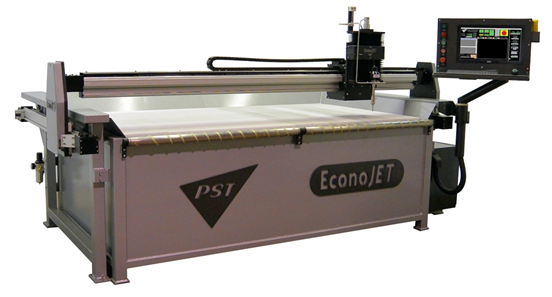 PST Waterjet is configured for shower door, laminated, and custom glass applications. PST staff has decades of glass cutting experience to assist in the operational training for your glass process. •	Front Loading Rollers - glass plate loading.